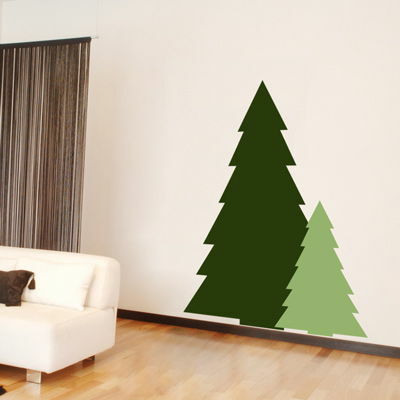 Simplify your Winter decorating with our Christmas Tree Silhouettes! 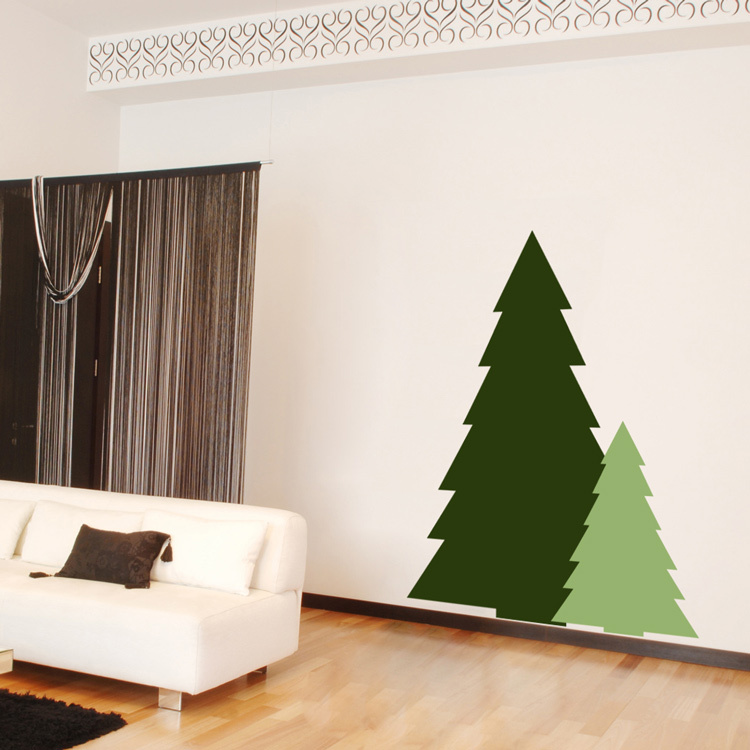 Our holiday wall stickers are ideal for an entrance, home gym, foyer, garage door, laundry room, bedroom, dorm, studio, apartment, office, your child's space, or anywhere with a smooth, flat surface! You will receive BOTH trees shown in the picture! Available in any two of our colors! We recommend matte colors for temporary and holiday applications, as it has a more easily removable adhesive. The larger tree comes in 3 sections, which will overlap to fit. The smaller tree decal comes in one piece, ready to apply! fast shipping, this tree looks GORGEOUS on the wall! It was easy to put up, and the instructions included were very clear and helpful! We have received MANY comments on this beautiful tree, and the transformation it makes to the store it was put up in. Dali is a great company to work with, accomodating our requests for customization and delivering a very high quality, unique product. Would absolutely buy from them again. These poppies are the cutest! Very easy to install and look incredible in my daughter's nursery!